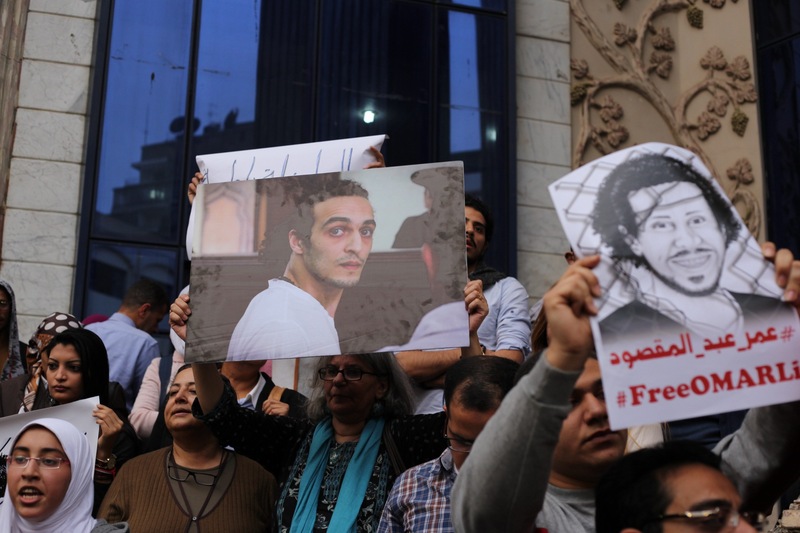 Hundreds of Egyptian journalists organized a protest on Wednesday in front of the Press Syndicate to demand the release of fellow journalists detained and the state’s tacit acceptance of their deteriorating health. 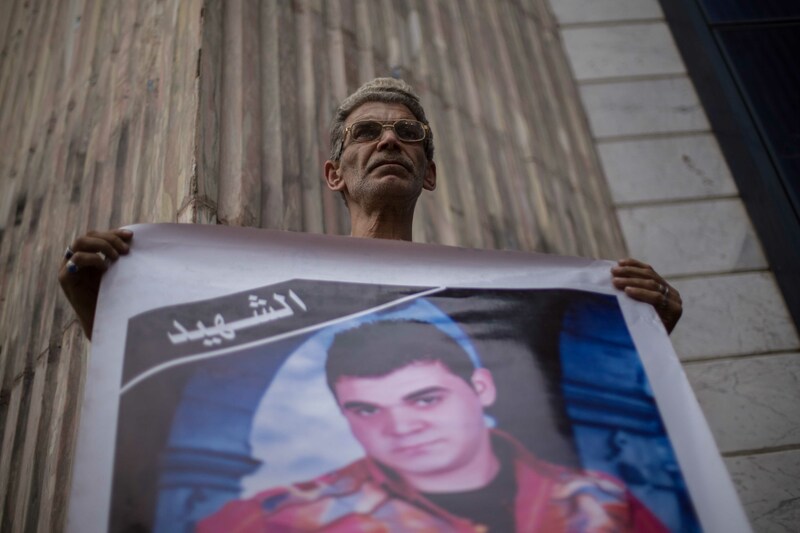 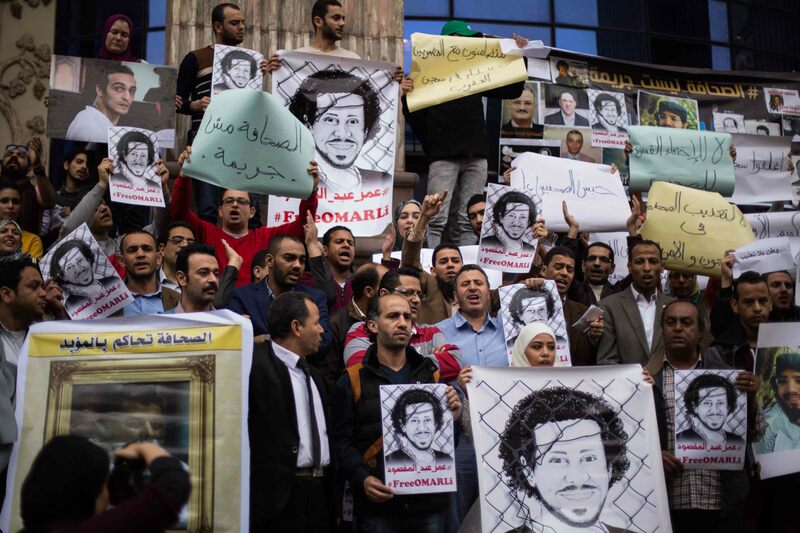 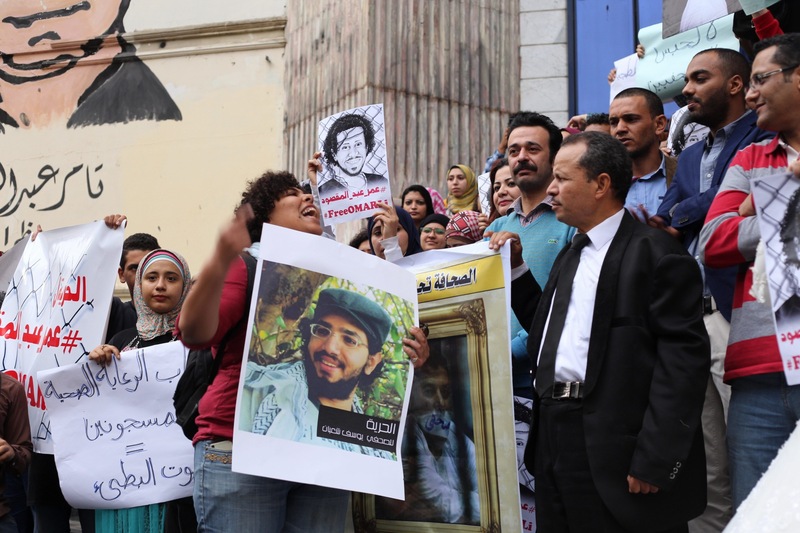 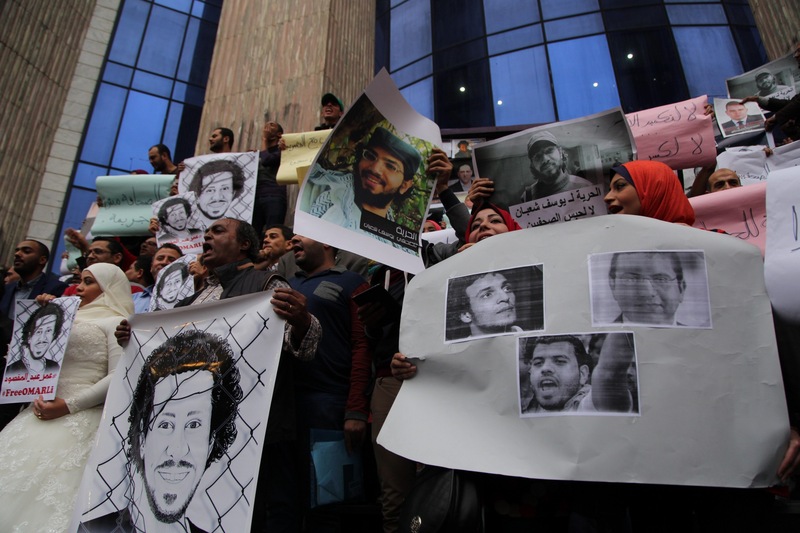 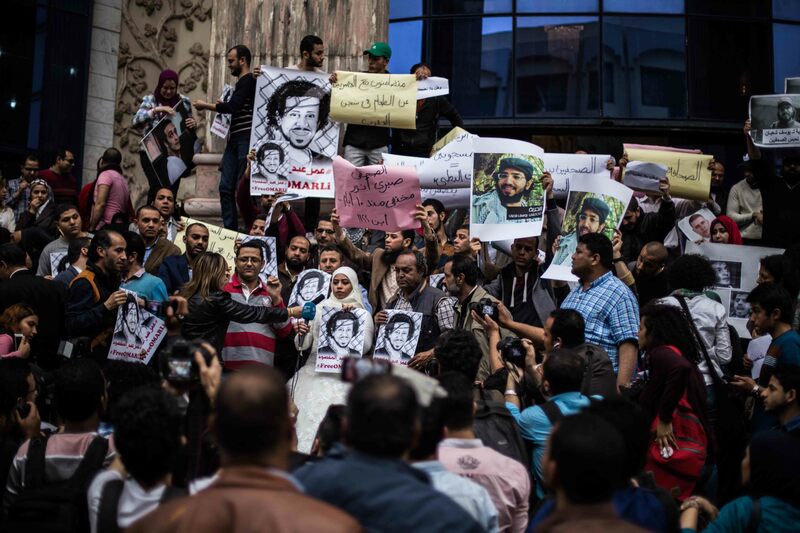 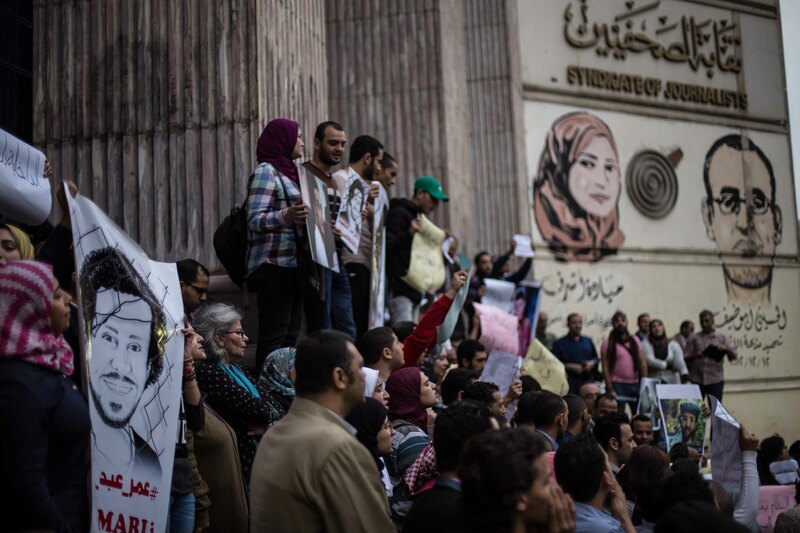 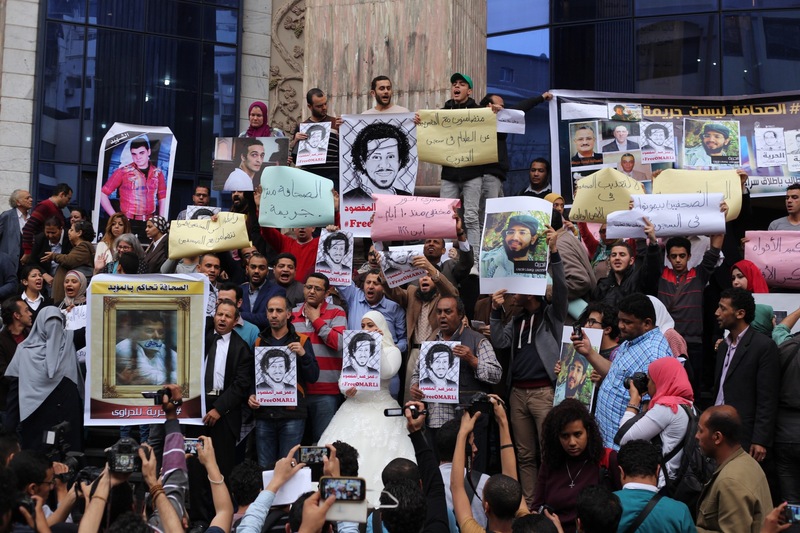 Hundreds of Egyptian journalists organised a protest on Wednesday in front of the Press Syndicate to demand the release of fellow detained journalists and protest the state’s tacit acceptance of their deteriorating health. 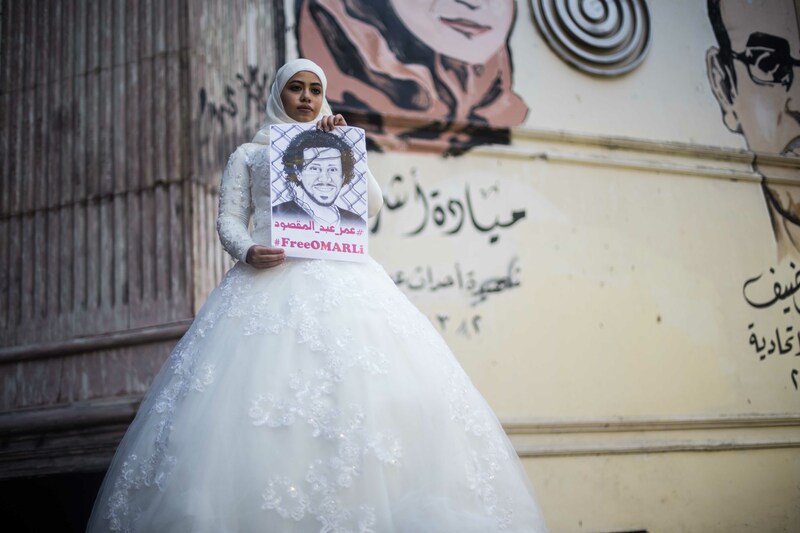 The fiancée of detained photojournalist, Omar Abdel Maqsoud, put on her bridal dress to send a message that she will continue to support him and demand his release. 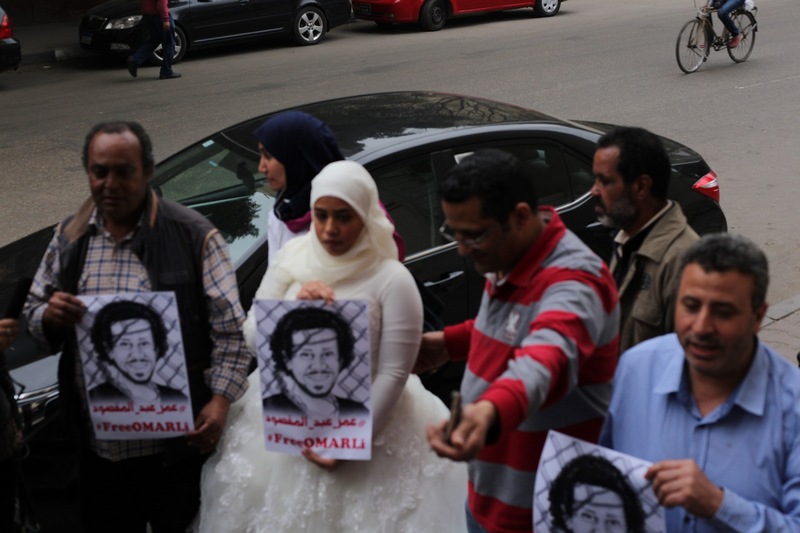 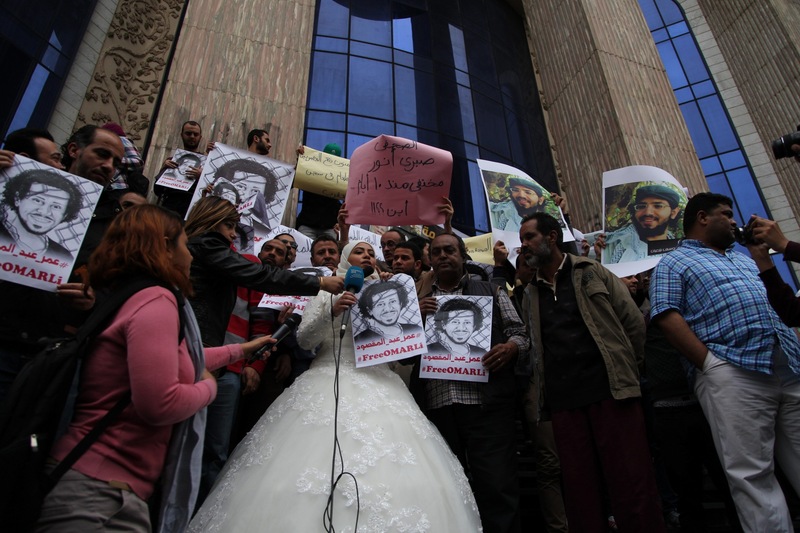 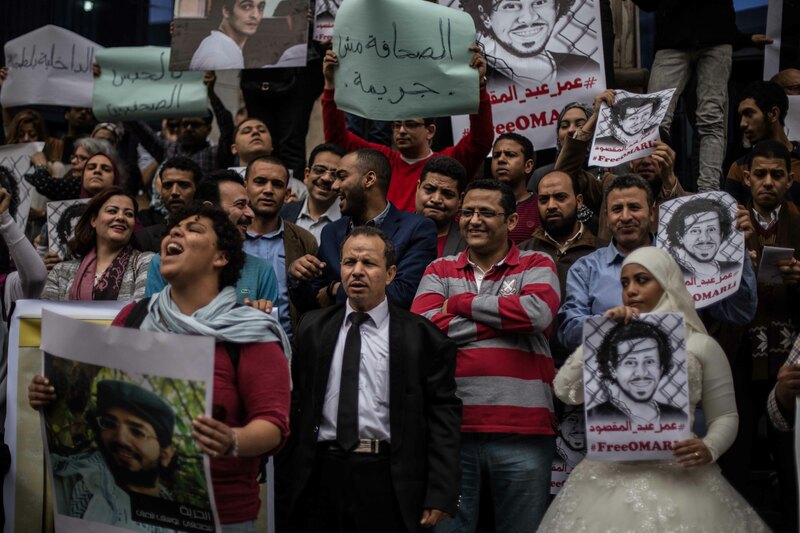 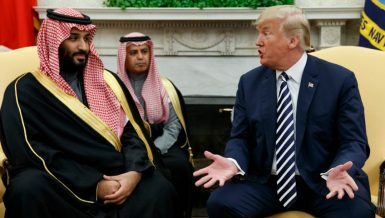 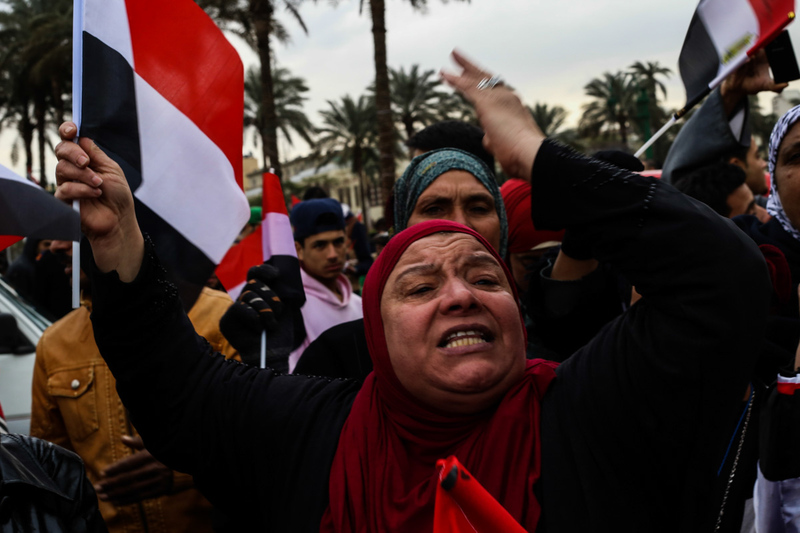 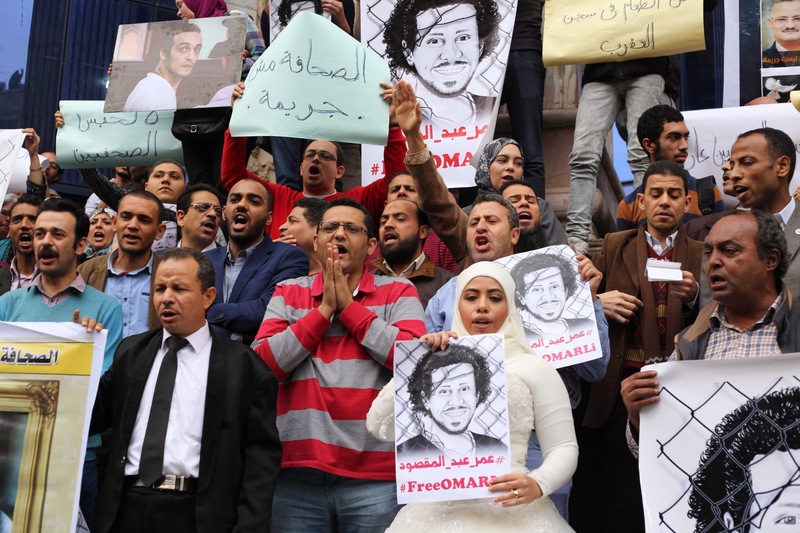 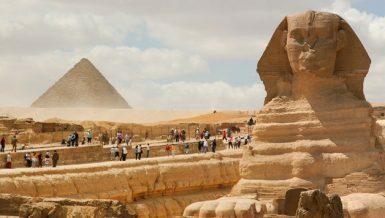 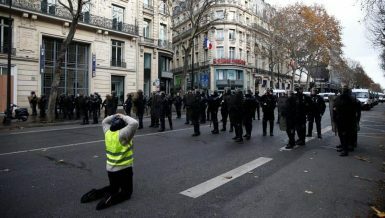 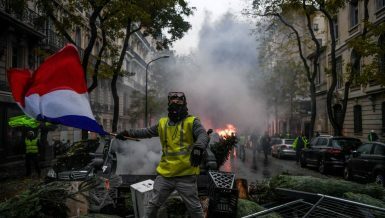 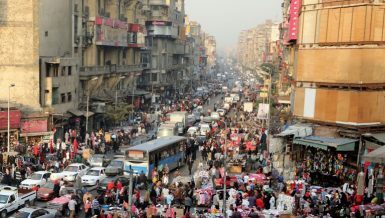 “We were supposed to get married in May 2014, but Abdel Maqsoud was arrested in April, 15 days before the wedding,” she told journalists during the protest.